Please find a sustainable future for photojournalism. No pressure. 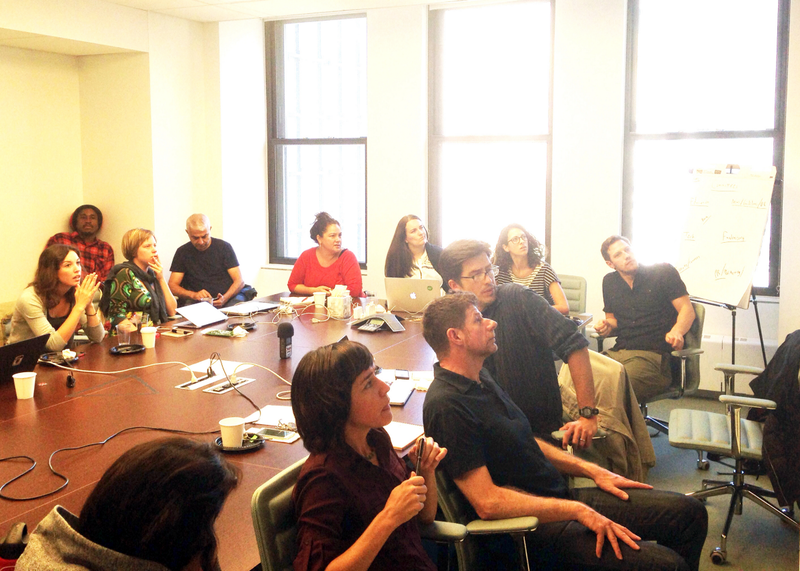 First meeting of The Everyday Projects in New York, September 2014 — an attempt at collectively writing a mission statement. Dozens of similar “everyday” feeds popped up on Instagram, and in 2014, we came together and named ourselves The Everyday Projects. Let me break down what we do in a way that gets away from non-profit mission-statement-type language. (If you want that, you can visit our website). We want to change the way people look at the world. We want to fight misrepresentation, and we figure the best way we can do that is to support storytellers and to do good things with their stories. We work to amplify the voices of our photographers, and we do a lot of work in schools, mostly in the U.S., teaching media literacy and helping students take control of the visual narratives of their community. 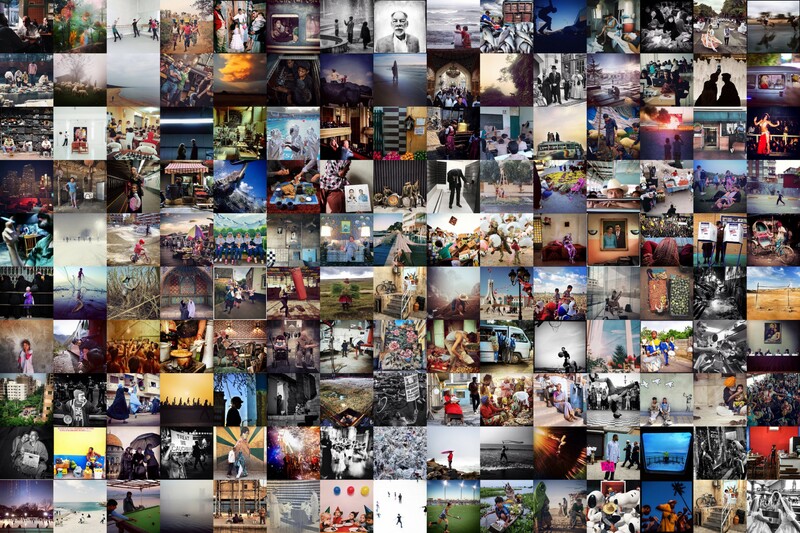 A few numbers: there are more than 50 Everyday projects that have kept going over the years, several hundred photographers in our global network, and an audience of more than one million followers across all channels. And as we grew, we also started receiving emails from people, both established photojournalists and those new on the scene, saying, I’m glad to be a part and I can’t wait for you guys to figure out a new economic model for photojournalism. Like I said: no pressure. Now, as a JSK Journalism Fellow at Stanford, I can take a breath and try to focus on the long game. The JSK Fellowship has opened many doors for me — I get to bounce ideas off of Stanford faculty and folks in the tech and media industries in the area, and I’m incredibly fortunate to converse daily with a cohort of brilliant minds (some of whom have built their own incredible organizations and publications). Perhaps the greatest gift, however is time. I can stop reaching for the next immediate grant and consider The Everyday Projects’ long-term future. Everyday Africa photos. Left: Poolside scene at a hotel in Grand-Bassam, a popular beach community outside of Abidjan, Ivory Coast. Photo: Peter DiCampo. 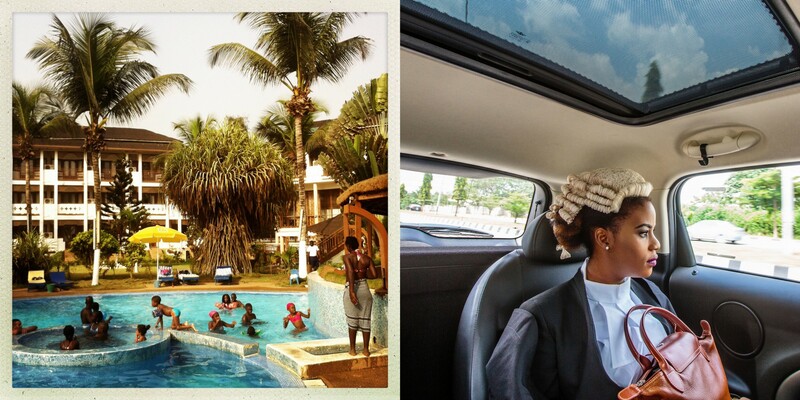 Right: Ginika is on her way to join thousands of Nigerian law graduates being called to the bar in Abuja, Nigeria. Photo: Tom Saater. Memberships / micro-donations, not unlike NPR. We publish our photography on Instagram already; what can we offer members that they can’t already get for free? How can we give them rewards (photographic prints, access to the journalists, etc.) in a way that helps both the photographers and the organization? Advertisements on our Instagram feeds. I know, it’s not always pretty — but I feel we can do it in a way that stays true to our values. How about African companies trying to reach wider markets, or other new media organizations getting their names out there? Corporate (and other) sponsorship. The photographers we work with are covering some of the vital issues of the day (climate change, migration, the list goes on). Are there companies (and other organizations) that would sponsor us to do deep dives on specific topics, in exchange for social media mentions, prints, etc. (while we, of course, maintain editorial control)? Community foundations. To give credit where it is due, this one was suggested to me by my JSK co-Fellow, Chris Horne. We already work in schools and help new Everyday projects get off the ground; can we package those two pieces together as a toolkit? Could we appeal to community foundations, offering to come to their community, lead a number of photography workshops, get their Everyday project up and running, train them to maintain it, and put on a local exhibition, all while partnering with local media and photographers? I’ve learned enough to know that there are no silver bullets here. We’ve received generous support from foundations and partner organizations over the years. What we need now is some combination of the ideas above — and other great ideas — so The Everyday Projects can have a life beyond a typical grant cycle. My plan now is to flesh all of this out in greater detail and start surveying our photographers. What are their needs, and what would they like to see happen? What are they comfortable with? Are they ok with ads? (Am I? Guess I’ll have to take the survey, too…). And then, it’s time to start experimenting.